At Alex Bratic Dental Care we believe that patient knowledge is a part of proper, safe dental treatment, and we’ve put together this guide for parents whose children may have X-rays recommended for them. What are the different types of dental X rays? Bitewings – an X-ray film or plastic sensor is held in the patient’s mouth by their teeth. These X-rays help find cavities between the back teeth. Periapicals – these images show the roots of the front or back teeth. Periapical X-ray images can only include two or three teeth. Panoramic X-ray – a machine that rotates around the head takes this image. It can take in all the jaw bones and all the teeth. Cone Beam CT – this is similar to a medical CT scan but uses fewer X-rays. However, the cone beam CT uses more X-rays than bitewing, periapical, or panoramic X-rays. It helps make three-dimensional (3D) pictures. Your Alex Bratic Dental Care dentist only uses enough radiation to see what is necessary to care for your child. We all are exposed to small amounts of radiation in daily life. Children are physically smaller than adults, so their organs, particularly the thyroid, are closer to the location of the X-ray. The younger a child is when they have an X-ray, the more time there is for radiation exposure to lead to cancer. X-ray machines often have exposure settings designed for adults; therefore too high for children. 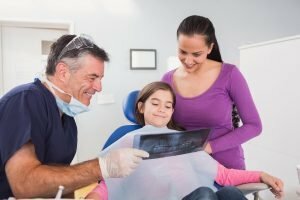 Why does Alex Bratic Dental Care use X-rays? We use X-rays for diagnostic and preventive reasons. X-rays are important tools in finding dental decay and certain diseases that are not apparent during a visual examination. Dental X-rays also help us see the amount of space in the mouth available for permanent teeth when they come in, as well as determine if the primary teeth are falling out quickly enough to allow permanent teeth to come through the gum lines correctly. X-rays also allow us to see if all adult teeth are in place below the gum line, if there are extra teeth, or if any teeth are missing. Furthermore, X-rays help us estimate the timing of un-erupted wisdom teeth or see if wisdom teeth are impacted or unable to erupt. 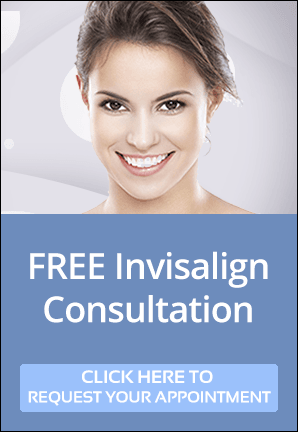 Finally, X-rays aid us in predicting any anticipated orthodontic care that may be necessary. The heart of our approach is the ALARA principle. The As Low As Reasonably Achievable principle is designed to minimise radiation doses and releases of radioactive materials. This means we always balance the needs of detection and diagnosis with the safety of our patients, particularly younger ones. Consequently, we don’t give X-rays on an “assembly line” schedule and we also utilise other diagnostic techniques in our examinations. We use state of the art dental equipment in all our dental procedures. Patient safety is always a paramount concern. For instance, we use Diagnocam, and our X-rays are digital X-rays. The Diagnocam is a laser that penetrates the tooth, readily showing early decay that cannot be seen in regular X-rays or with a visual examination. Digital X-rays allow a reduced dose of radiation and an instant image. Diagnocam and digital X-ray images can both be viewed on a television screen. This allows our patients to understand the condition of their teeth. So, while dental X-rays are relatively safe, we still take care in giving them! NextNext post:Alex Bratic Dental Care and Your Dental Health in 2019!